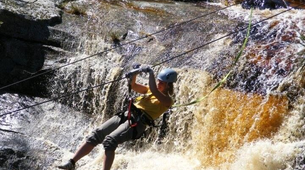 This world renowned waterfall zipline tour takes you across the Kruis River. 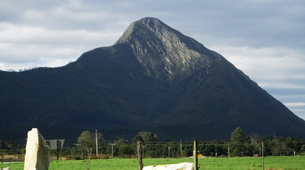 Now with two options, you'll pick from the 8 slide totaling 822m (2697 feet) of which the longest is 211m (692 feet) or the new 810m (2657 feet) the longest section being 500m. 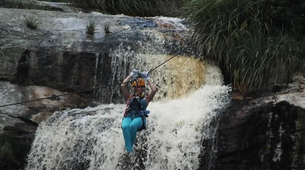 What makes the Tsitsikamma waterfall zipline tour unique is that you have the opportunity to safely slide on a zip line across 3 beautiful waterfalls surrounded by indigenous trees and plants. 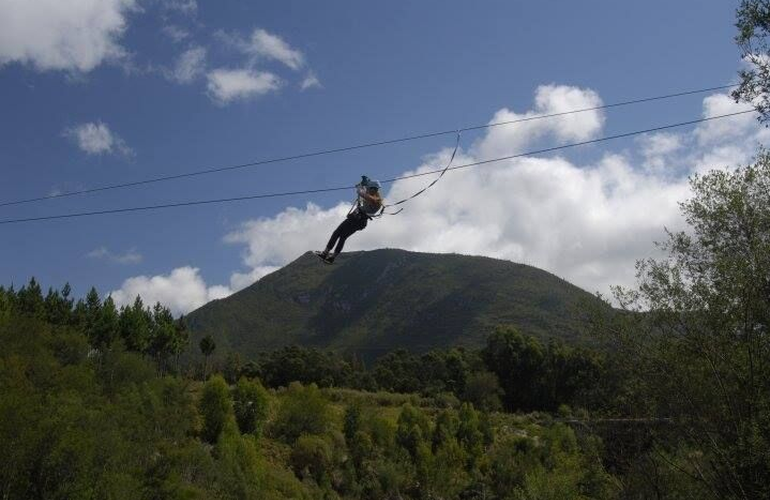 This eco-adventure is sure to give you an adrenaline rush as you zigzag across the Kruis River with the wind in your face. 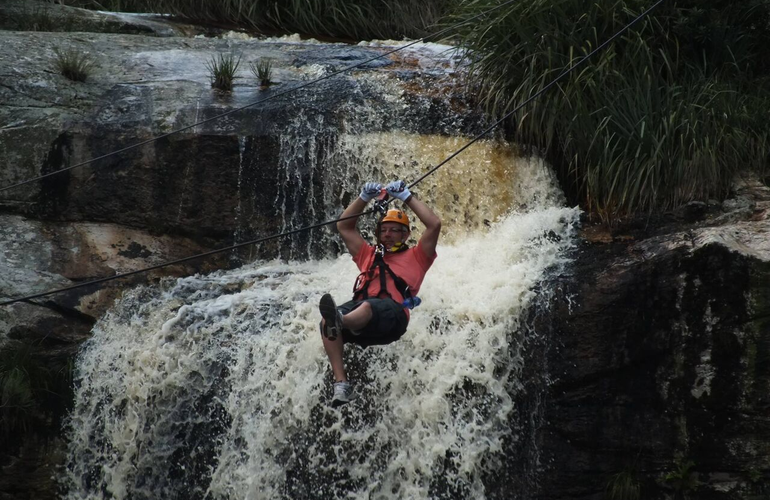 You will hear the rush of the waterfalls throughout the zipline tour. 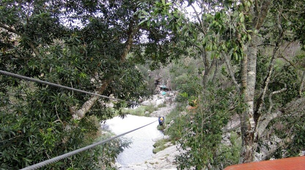 If for some reason you are unable to enjoy the zipline tour, you are more than welcome to take a walk along the footpaths, decks and suspension bridge overlooking the beauty of the waterfalls and nature. 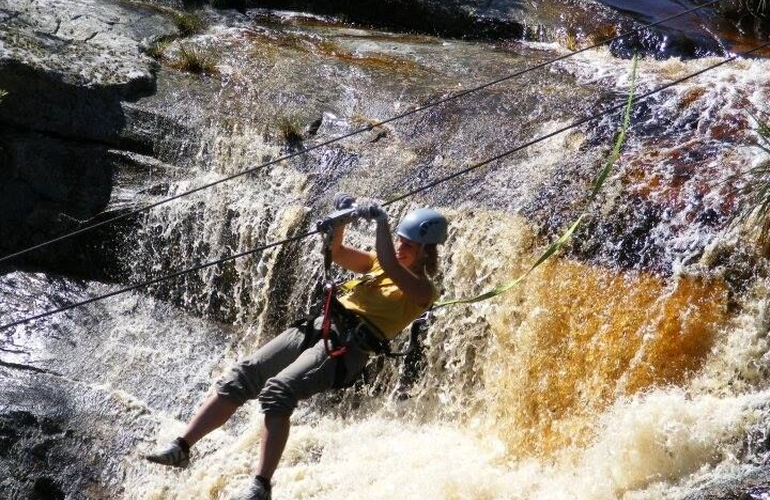 Situated 8km’s east of Storms River Bridge (Paul Sauer bridge) on the N2, Tsitsikamma Falls Adventure Park offers spectacular zipline adventure slides across the Kruis River. The two slides, of which the longest is 500m, zigzag along cables across the river gorge, as high as 50m above the water in some places. 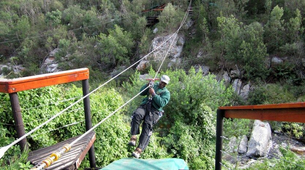 Each section presents its own surprises, adventure, wonders and beautiful views over indigenous Tsitsikamma fauna and flora. 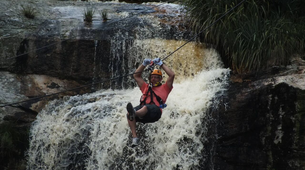 You can control the speed of your descent, allowing you to stop midcable to take in some of the awesome views over the waterfalls. 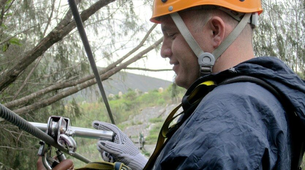 The guides provide interesting commentary about the area as you traverse the gorge and waterfalls. Upon your arrival you must report at the reception, where you’ll be given an indemnity form to sign. 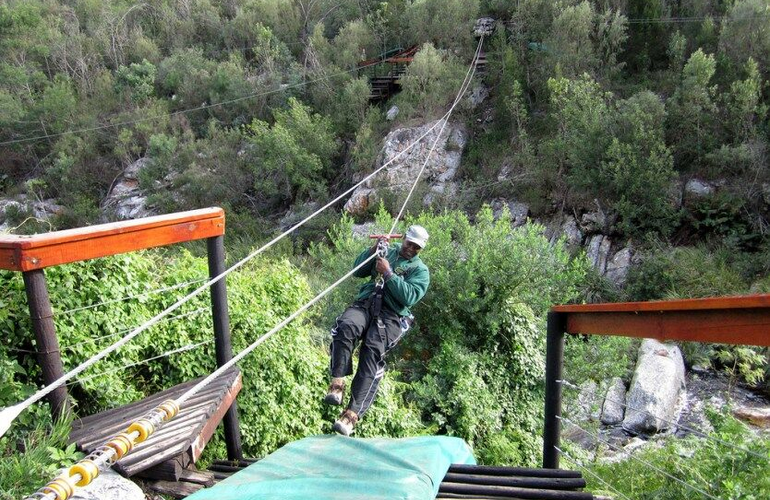 The guides will then get you geared up in a harness for an amazing experience. 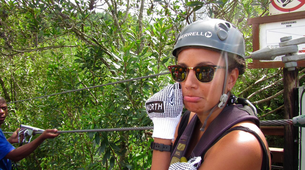 Once kitted out you'll be introduced and accompanied by two professional guides to the starting point of the tour. 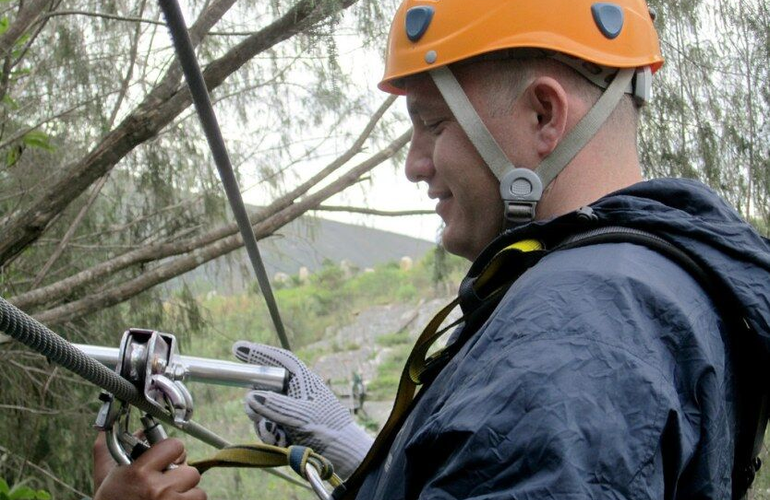 There you will be given a safety briefing and the guides will explain the do's and don'ts during the tour. They will explain how the patented braking system works. The first two slides are relatively slow just to get you used the experience. 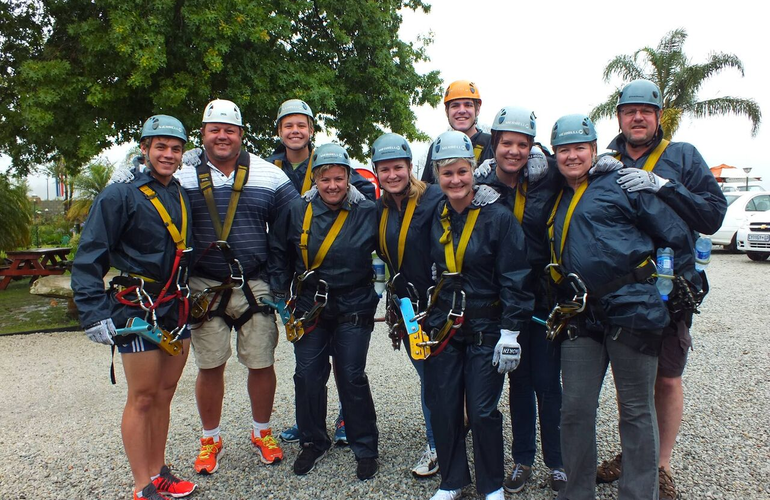 Larger groups can be accommodated, please contact Adrenaline Hunter to find out more. The tours depart every 30 minutes and groups sizes can be up to 12 people. The tour operates in most weather conditions (even when it's raining) and tours will only be stopped if there is lightning or if it is deemed that it would be unsafe and endanger your safety. 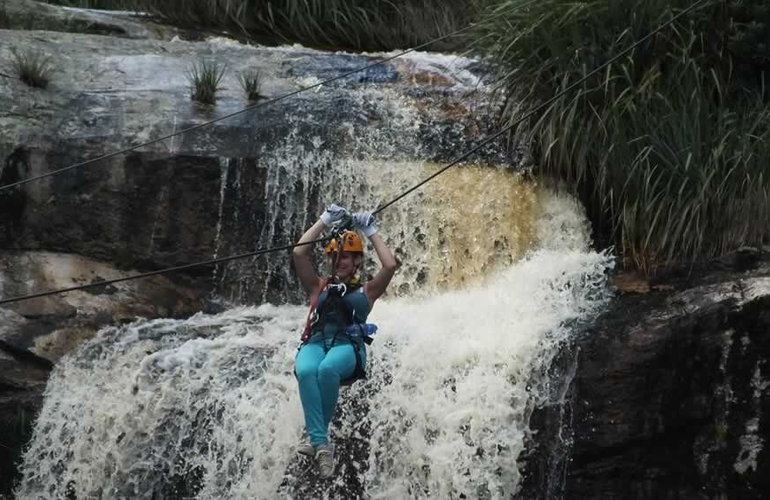 Viewing the waterfalls and walking along the river is free of charge and permission can be obtained at the reception. Please adhere to the signs and instructions along the route and note that you do this at your own risk. 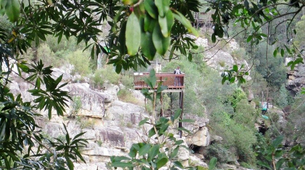 On the fifth slide, you will cross over the first waterfall and land on a platform above the crest of the second waterfall. 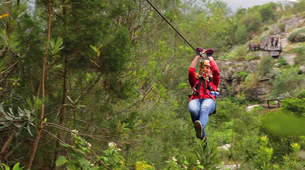 On the sixth slide of 165 meters you’ll cross over two more stunning waterfalls, passing the cliffs that are only an arm's length away. 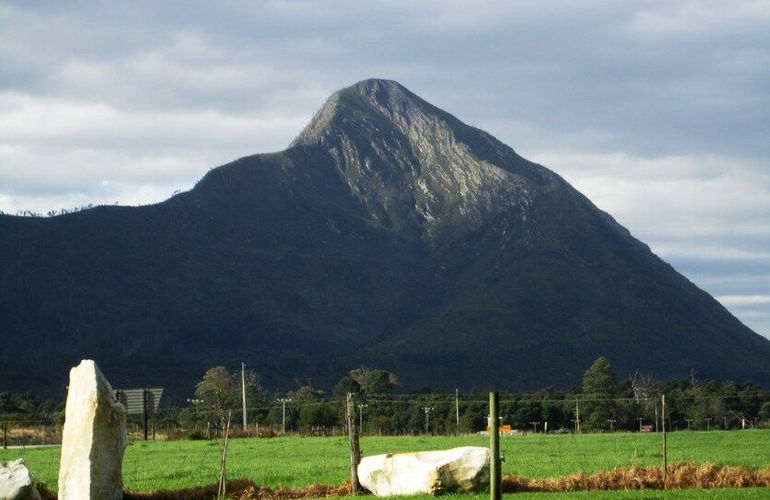 From there you’ll walk up a pathway approximately 150 meters where you will receive a refreshing drink. 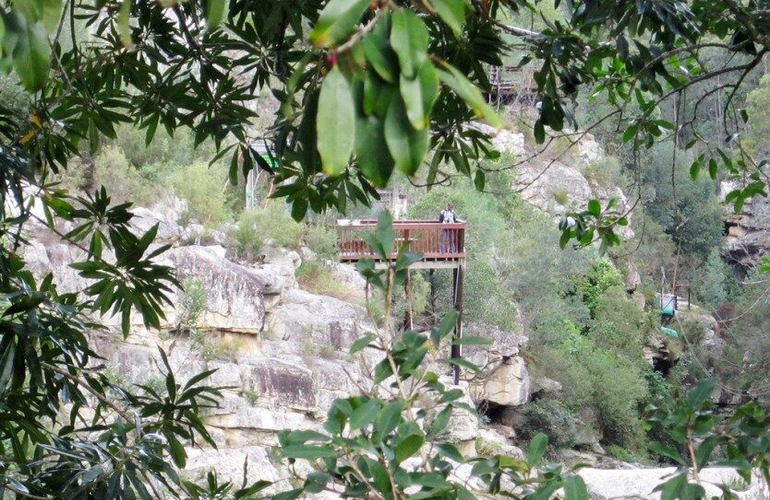 From the deck you can enjoy the beauty of one the Garden Route's hidden gems with a breathtaking view overlooking the waterfalls. 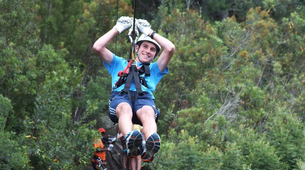 If you choose to, you can take a short walk to the suspension bridge where the abseiling takes place and get a stunning view from above the second waterfall. 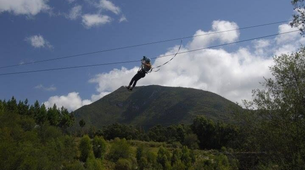 After enjoying your refreshment you’ll take a walk approximately 100 meters to the start of the longest and highest slide. This slide is 211m (692 feet) long and at times 50 meters (20 stories) above the ground. The eighth and last slide will bring you back across the river and you will return to the kitting rooms and you’ll be offered complimentary refreshment. 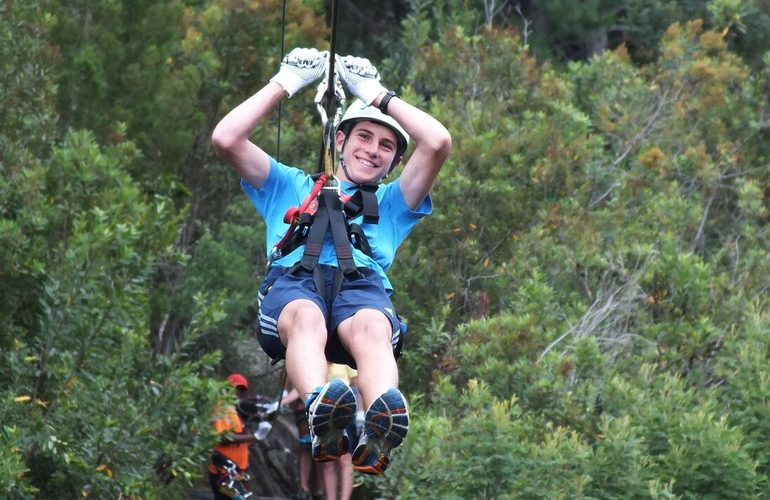 Great Experience, the zipline was a lot of fun. 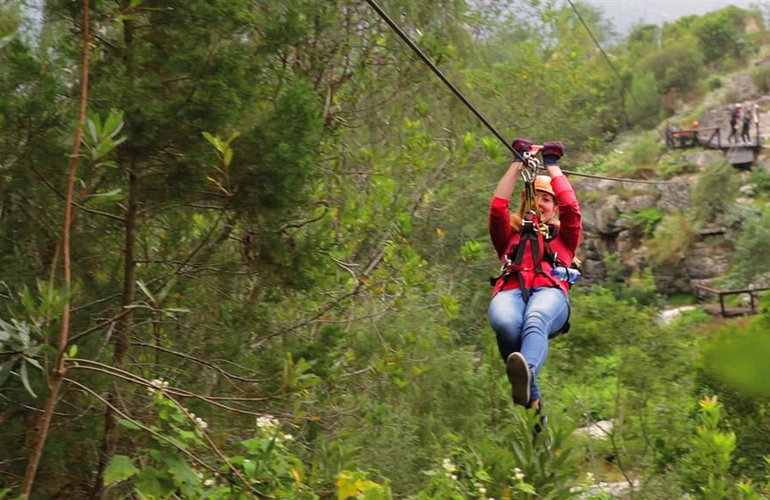 Staff was great and the zipline was fun. The centre needs some work, especially the entrance. Hopefully will be better in a few months. 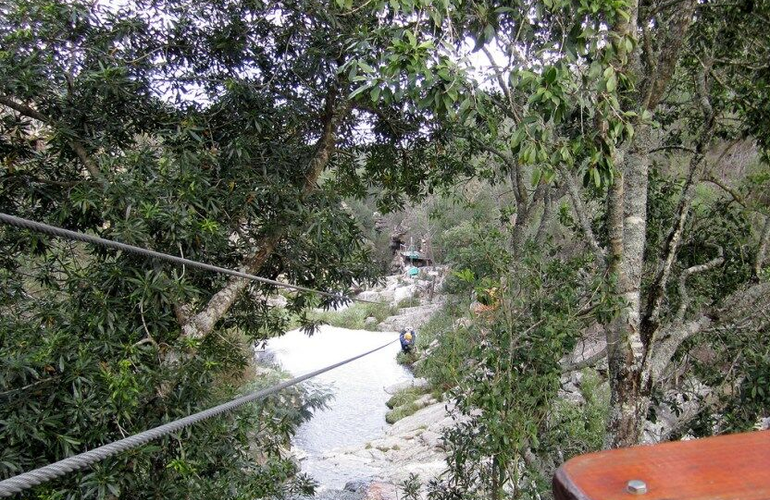 500m zipline should be fantastic when it opens, but hopefully it will not be too pricey. Great fun - little Emma's first time - she wanted to do it again! Great fun felt very safe. It was a great experience, one I won’t forget very soon. Everyone was professional and friendly. 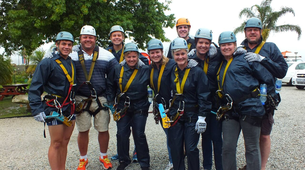 Our guides were awesome! We were only two in the group so the time flew by.. but we had breathtaking views. 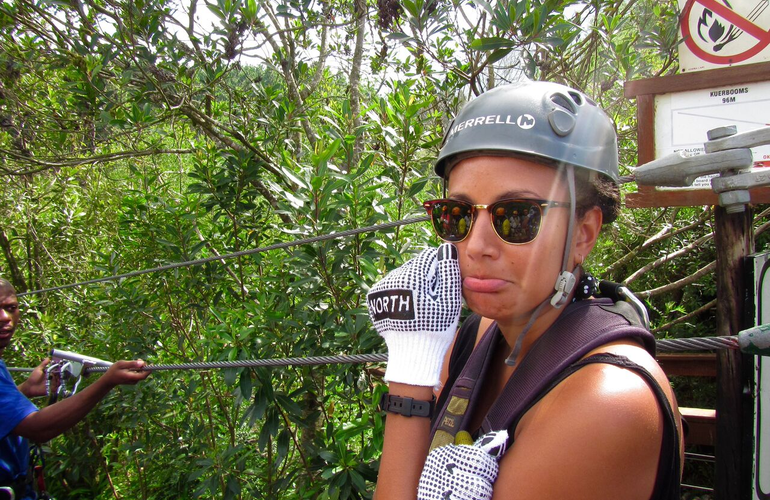 The zip-lining was a fun experience with my wife. However, I wish it was longer, faster, and higher.